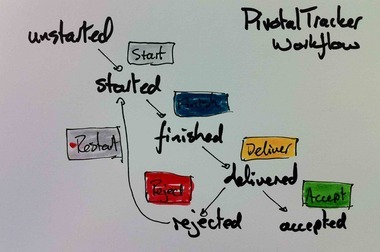 We use Pivotal Tracker quite a lot these days and I was looking around on the web for a quick image of the Pivotal Tracker Workflow. I didn’t find much so I did a quick drawing which I thought I would share. I might put this into Omnigraffle or Balsamiq later.